HOTEL INFO: Radisson Hotel in La Cross, WI. Special rate of $129 (standard room, two queen beds) now available! Call (608) 784-6680 and ask for the Mississippi River Parkway Commission block. Registration is now open for the Mississippi River Parkway Commission’s Semi-Annual Meeting on April 2-4 in Clarksdale, MS. Register online now to get the best rate. Early bird registration is $150 for delegates and $125 for spouses or guests of delegates. After March 10, rates increase by $20. To make your reservation, call the Shack Up Inn at (622)624-8329 between 8am and 8pm. Be sure to ask for the Great River Road block. Rates may vary, and the room block expires March 10. Thank you all for attending the 2018 MRPC Annual meeting. If you took any photos during the meeting, please share them with the MRPC National Office by uploading them to our MRPC dropbox folder. Just click on the link below then drag and drop any photo files you’d like to share. Please fill out the form by Friday, Oct. 19, to request shuttle service. Registration is now open for the 2018 MRPC Annual Meeting, which will take place from October 23-25 in West Memphis, Arkansas. Register online now to receive the special early-bird rate—early-bird registration ends October 5. A special guestroom rate of $89/night is available now for the conference hotel, Comfort Suites in West Memphis. To reserve your room, call the hotel at 870-733-9900. Make sure to mention the Mississippi River Parkway Commission group rate. To see the agenda for the meeting, click here. Make plans to attend the 2018 MRPC Annual Meeting, which takes place October 23-25 in West Memphis, Arkansas. Registration opens in July and a special hotel rate is available now. Reservations for the Comfort Suites, 850 Stephen Boulevard in West Memphis, can be made by calling 870-733-9900. A special guestroom rate of $89 is available for rooms with one king or two queen beds. Make sure to mention the Mississippi River Parkway Commission group rate. Our Flavors of the Great River Road promotion launches June 4, and we’d love your help to spread the word! 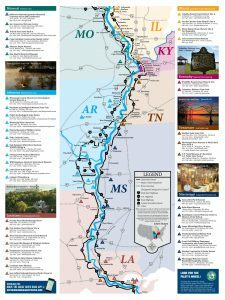 If your state’s Interpretive Centers are interested in receiving free promotional cards featuring the contest, please send them this link: http://mrpcmembers.com/order-your-flavors-of-the-great-river-road-cards/. This is at no cost to your state’s Interpretive Centers. A full promotional overview including logos, sample social media posts, itineraries and more is also available on the Forms & Resources page. We will continue to update the Forms & Resources page with more promotional materials as they are available. Earlier this month, the New York Times published a fantastic piece about traveling the Great River Road. Writer Peter Kujawinski’s article, “Along the Mississippi,” tells the story of his family’s road trip along the Great River Road from Illinois to Mississippi. 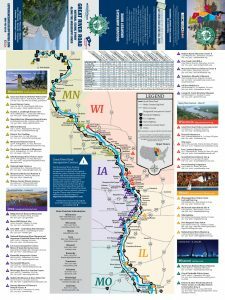 He shares stories about visiting several interpretive centers along the route and even highlights the MRPC’s 10-state Great River Road map as a great resource. 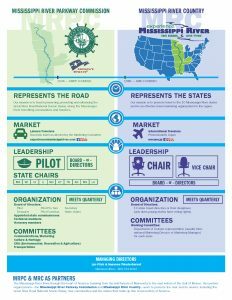 It’s time to put the 2017 Great River Road Month toolkit to work! It’s available on the Forms & Resources page. It includes a press release, story ideas, ways you can help promote the September giveaway, social media tips and a proclamation you can use to encourage local officials to declare September Drive the Great River Road Month in your state. Terri McCullough of Arkansas, National MRPC Pilot Pro Tem, did just that in Chicot County and it made the front page of the local paper. Thanks, Terri! 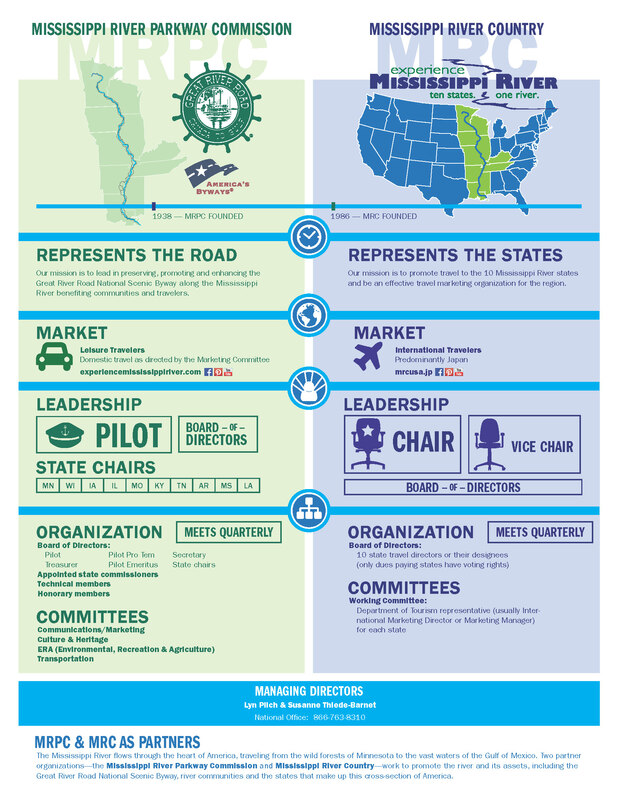 MRPC and MRC are often promoting travel along and around the Mississippi river. Want to learn the main distinction between the two? Click here to download the MRPC-MRC fact sheet to learn more. You can also find it on the Resource page. Thank you to those who have submitted their state events and cycling events. If you have not had the chance, please click here to submit your cycling events.